We were briefed on two different window displays that would be installed in a couple of London's busiest locations. 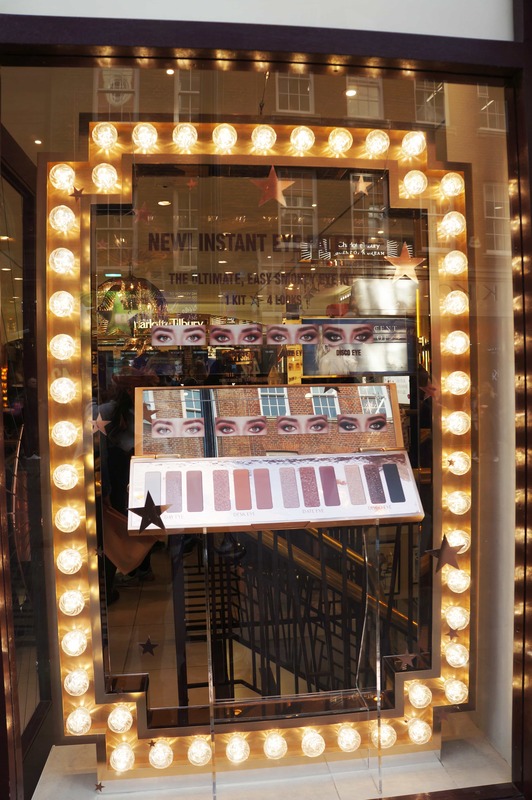 The first was a promotional window to launch the exciting Instant Eye Palette. Just a few weeks later, Charlotte's Gift Shop arrived just in time to celebrate Christmas! 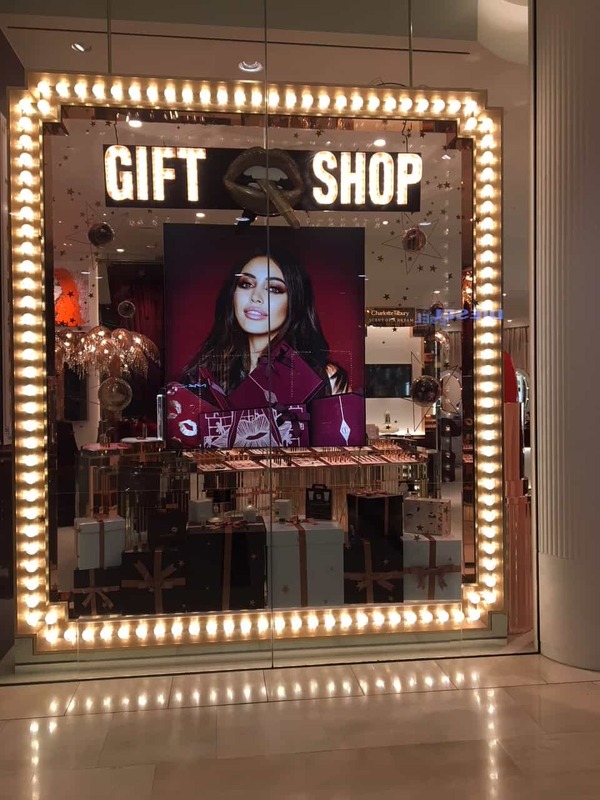 Despite the brief promoting two different aspects of the brand - product launch and seasonal promotion - the main task at hand was to ensure the overall result worked simultaneously. 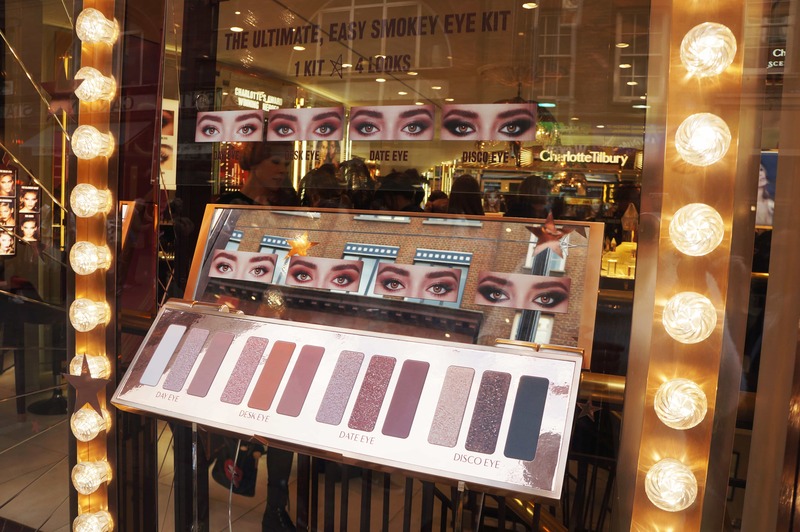 The display for the Instant Eye Palette consisted of a large factice display of the eyeshadow palette, designing the colour near to exact of the products themselves. 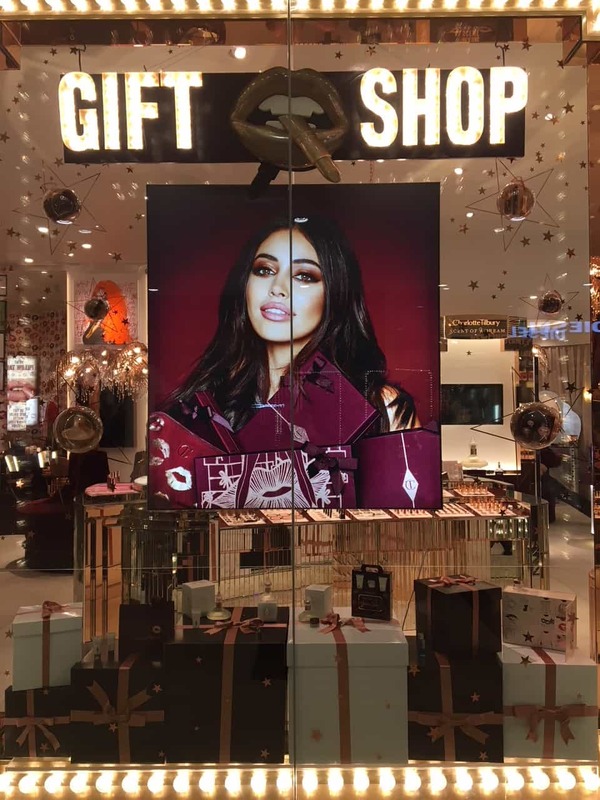 Taking a look at more of Charlotte Tilbury's installations this year (read more on our blog), the brand certainly knows how to use up-scaled 3D products to have a little fun in their displays. Framed by vanity bulb statement lighting, a feature now synonymous with the brand, the large-scale palette truly makes a statement. The gift shop window display focused on our aim to take part in the brands global direction, a sneak preview of the future promo sites. 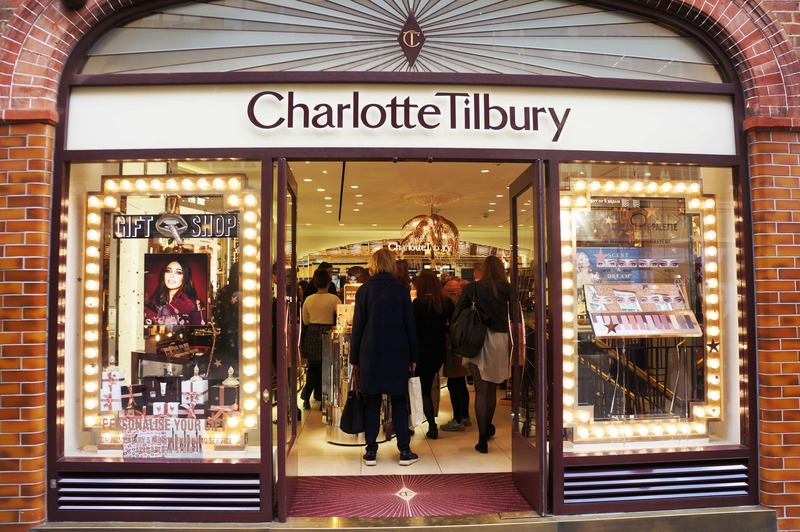 A gift shop promotion will be launching at a Charlotte Tilbury near you, so keep your eyes peeled! 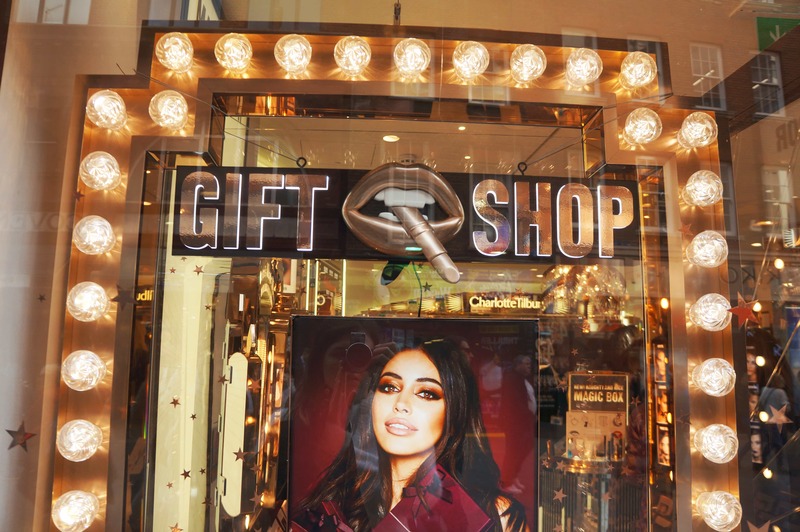 The text detailing and products of the title 'Gift Shop', a sophisticated rose gold gleam, off-set by the sultry nature of the lipstick graphic. 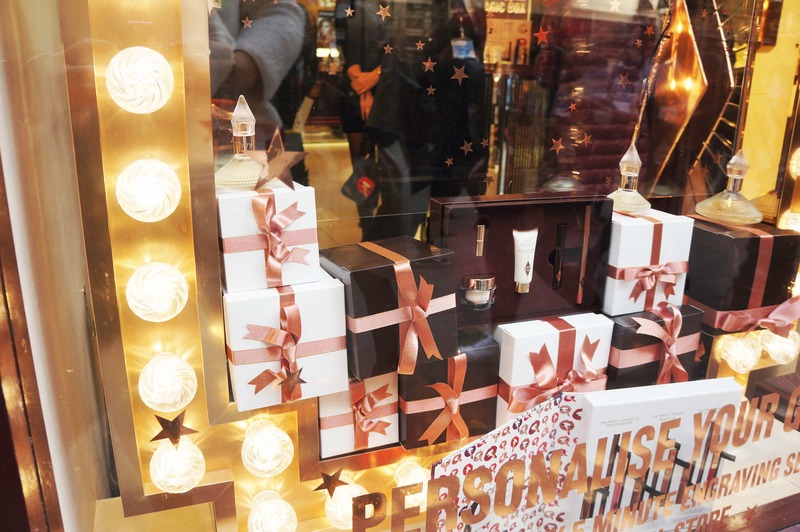 The window itself consists of vinyl printed lettering as well as stars, and perfectly wrapped gift boxes - what everyone wants for Christmas. 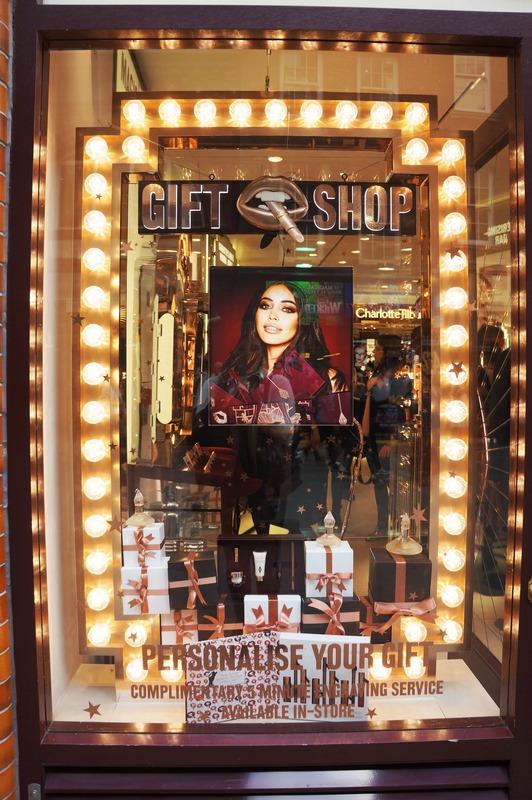 The latest window display installations with these promotions can be found at Covent Garden and Westfield White City. Two incredibly busy areas in central London, but also two very different sites; meaning that our compositions for design had to be considered. The extended space in the Westfield store allowed for us to expand the display, utilise more props and include some very festival baubles. 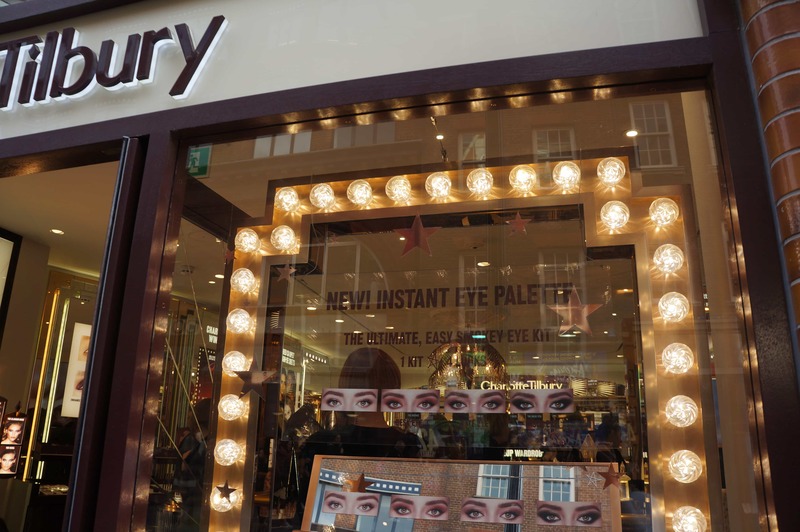 The result: two elegant, bold and statement displays for Tilbury's latest promotions.